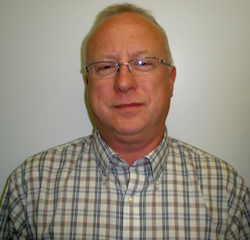 Terry Webb is a Principal Engineer and BP Downstream's NDE Subject Matter Expert. He has over 30 years of inspection and NDE experience in the oil refining industry, chemicals, nuclear power generation and synthetic fuels. In his current position, he responds to global refining requests for guidance, provides support and problem solving on specific NDE applications, and promotes effective application of emerging NDE technologies. In addition Terry builds capability by sharing NDE technology knowledge, best practices and promotes effective application of emerging NDE technologies within the global refining and chemicals plants. Safety is Terry's most important accountability. His qualifications include a Bachelor's Degree in General Studies with a major in Nondestructive Testing and a minor in general Engineer. His current certifications include: ASNT NDT Level III in UT, MT, PT and RT with AWS Certified Welding Inspection (CWI), API 510 Pressure Vessel Inspector, and API 653 Above Ground Storage Tank Inspector.